There’s no other crossover on the road that’s decked with technology to keep you both comfortable and connected like the 2017 Honda CR-V. Trust that you have an accessible infotainment system, and choose the luxury features that will make every journey a pleasure. Find out what you can expect to find before coming in for a test drive in Boulder today! The new Honda CR-V was designed to accommodate you and your passengers with all the modern comforts you can think of in automotive technology. Rain-Sensing Wipers: When the rainfall begins, these available windshield wipers automatically turn on and adjust to the appropriate speed. Heated Seats: Make winters easier with this cozy feature that lets both driver and front passenger choose the level of warmth provided. Smart Entry: You don’t have to dig your keys out of your pocket when you’re ready to go. This smart key fob unlocks the doors based on your proximity to the vehicle. Keeping in touch has never been easier thanks to a responsive touchscreen display that provides you with entertainment and more in one convenient place. Touchscreen Display: A 7-inch color display lets you adjust audio streaming settings and connect to Apple CarPlay and Android Auto for smartphone syncing. Satellite-linked Navigation: Get turn-by-turn directions for every destination as well as live traffic and weather updates for the best route possible. Multi-Angle Rearview Camera: See what’s happening behind you and all sides with this advanced rear display that’s also available with Dynamic Guidelines to help you better maneuver into tight parking spaces. 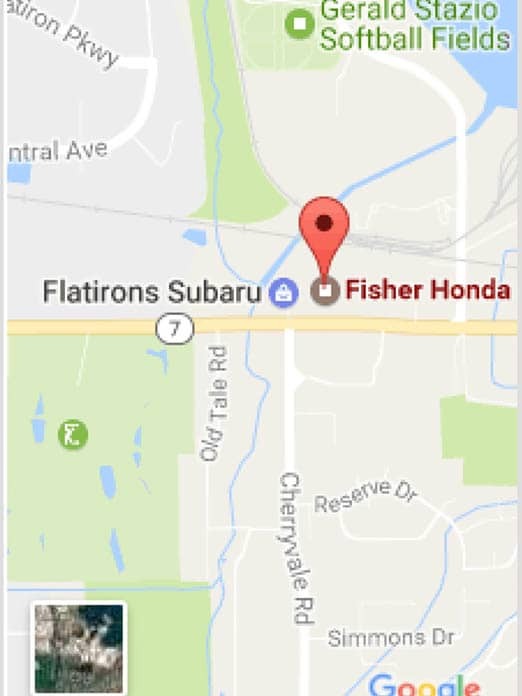 Visit the 2017 Honda CR-V to test the technology and see what it can do when you take it on a test drive at Fisher Honda, located at 6025 Arapahoe Road in Boulder, CO. We offer our customers competitive rates for financing, and our sales staff is dedicated to helping you find the perfect new vehicle for your family. Call us at (303) 245-6417, or leave a message online to get started today!